Panasonics Technics P-AM18201K-1 Tone Arm For 1200/1210MKII,MK5 Series DJParts - All Variety of Parts that DJ Needs. 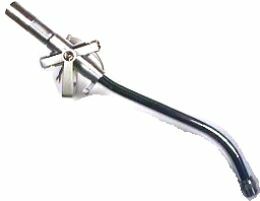 Technics Tone Arm is a replacement for the 1200 Technics turntable series. Depending on the model of turntable. It also can connect to all types of head shells such as Technics, Stanton and more.